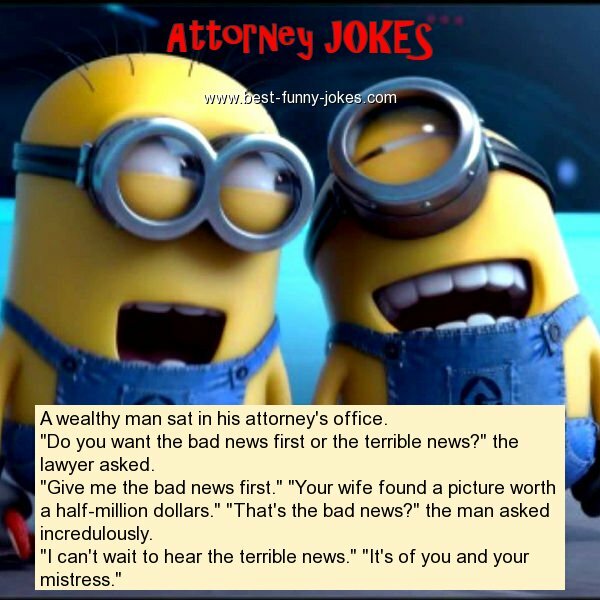 A wealthy man sat in his attorney's office. "Do you want the bad news first or the terrible news?" the lawyer asked. "Give me the bad news first." "Your wife found a picture worth a half-million dollars." "That's the bad news?" the man asked incredulously. "I can't wait to hear the terrible news." "It's of you and your mistress."